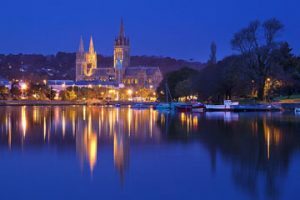 People who have booked a room at Hotel Pernavor should make sure that they arrange a trip to take in all that the town of Truro has to offer. Truro is located in southwest Cornwall on the Truro River. This bustling little market town, with its pretty Georgian streets and riverside views, offers an ideal base for those wishing to explore the picturesque local countryside.